I held the box, within my hands, feeling old wounds begin to re-open, the old pain feeling fresh, once more. “Again, I must go down this rabbit hole again” I thought to myself. “The journey, the tears, the heart wrenching surprises… I must endure this all again.” I press start, and am greeted by an old Violin that has become signature for this title. Yes, back down the rabbit hole. 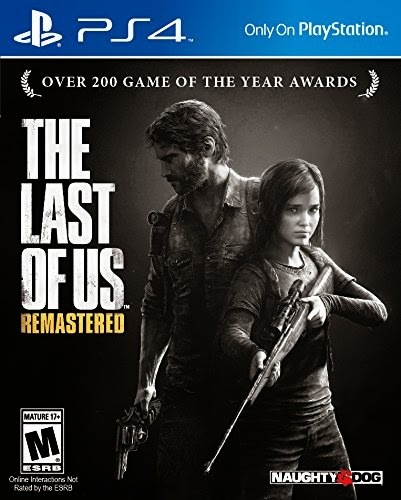 Back to the cross country journey of Joel and Ellie, back to… The Last of Us. The first thing I want to make clear, before I even continue, is that even though I’ve already played, and beaten this game, buying this game again on day one is completely worth it. Why, you might ask? Mainly due to the DLC, for myself; seeing that I never had an opportunity to experience the Left Behind story DLC, let alone the fact that I never touched the multiplayer when I originally had it made the purchase easy. 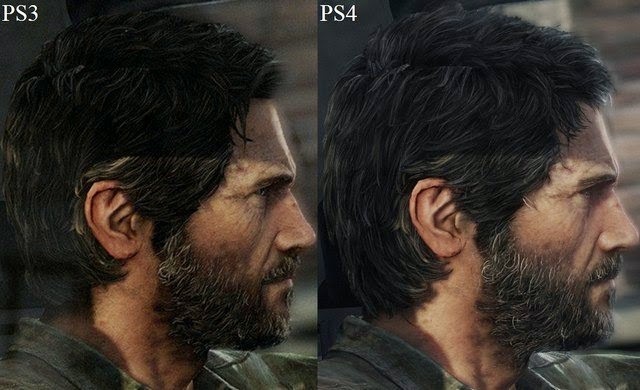 So, in case you lived under a rock last year, or didn’t own a PS3, The Last of Us was a defining example of what gaming should be. Rich storytelling, innovative to its genre, tight controls, great gameplay, and most of all, something that leaves you begging for more! The original release scored a perfect ten here with us, at BATGR, as well as countless other review agencies. This was a reason to buy a PS3; and in the current state of affairs when it comes to limited releases on the PS4, this is a reason to make the upgrade. The story is one that is simple, yet complex. A man, who has become broken due to tragedy brought on by an apocalyptic plague, must take a young sixteen year old girl, across a dangerous country in an attempt to save the world. Simple enough, right? Wrong… dead wrong. Coming into this game, Naughty Dog threw out any and all topes you could think of when it comes to a thriller of this caliber. Every time you think you have figured out enough about the story to accurately call what will happen next, the developers throw a monkey wrench right into you blowing your mind, and changing everything that you think would’ve happened. Another thing this game excelled at originally, and carried over perfectly to this version, is the amazing voice acting and character development, of not only the main character, but nearly every side character you encounter. Naughty Dog created one of the most human experiences with this game, and it was something that affected many gamers, including myself, causing us to cheer when we succeeded, and cry when we failed. With the addition of the Left Behind DLC, players are allowed to see the pivotal moment that starts it all, while revealing more of a human side to Ellie. This segment of the game mainly focuses on the story, instead of the action. Not to say there won’t be a few intense battles, but not nearly the same as the main game. What makes this DLC so, uniquely, awesome is you get to see Ellie be well, Ellie. The main story circles around two close friends breaking into a closed down mall running amok, but what makes it work so well is you get a look into how she enjoyed her life prior to becoming the walking cure, for the world. When it comes to the multiplayer, it was a whole new experience for me. Seeing that I originally borrowed my copy of TLOU off of a friend, I didn’t want to be “That Guy” and use his online pass to play it. So I regrettably never had a chance to experience this games multiplayer the first time through. What I have found though, is a multiplayer I can truly get behind and enjoy. Back in the day, when online multiplayer was really first booming, there was a game called SOCOM. In all honesty that what this game reminds me of; It’s slow, methodical, and team orientated. To properly play, and win at this you must be in communication with your team nearly at all times. There are no one man hero’s in this multiplayer, and that’s something very unique in this current age of the “Twitch Shooter”. Last but not least is the “Remastered” part of the game, which is absolutely jaw dropping. They truly pushed what their engine could do, and recreated a world that was already vibrant, turning it into something photorealistic. In all honesty, just in the first segment of the game when you’re escaping Texas was enough to take my breath away. I personally can’t wait until I get into the winter portion of the game just to see what the new snow effects are going to be like. I’m going to make this quick, and to the point. If you own a PS4, you need to own this game. Whether you have played it before, or not; the content within this packaging is worth the $50 (USD) price point. It’s just as gripping, and action packed, but now comes with a slew of extra content you may or may not have experienced. This game is truly a masterpiece.